Blue Lace Agate and Unakite earrings, bracelet, necklace and close-up of necklace. 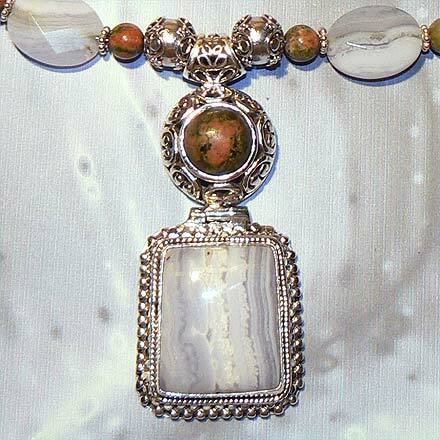 Sterling Silver Blue Lace Agate and Unakite Necklace. 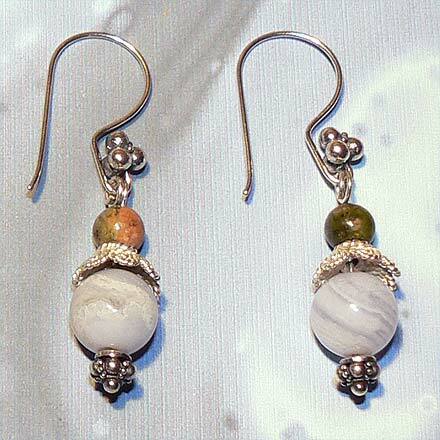 Sterling Silver Blue Lace Agate and Unakite Earrings. 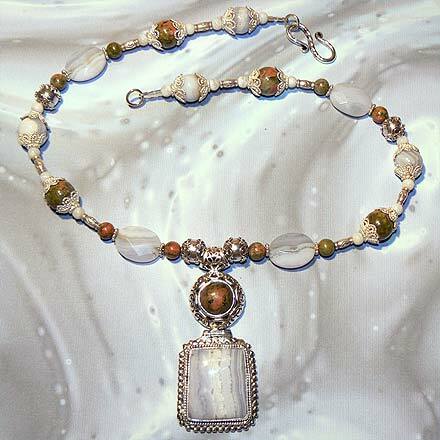 Blue Lace Agate and Unakite are not really thought of in the same sentence, but they work well in this set, like melting winter snow in the Rockies, exposing the green pines and red rocks beneath. For those who are interested in Astrological significances of stones, Agate corresponds with Capricorn and Gemini and Unakite corresponds with Scorpio.